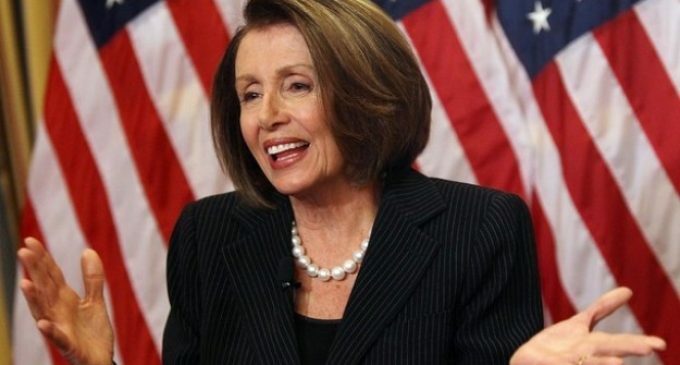 House Speaker Nancy Pelosi has been named the recipient of the 2019 Profile in Courage Award by the John F. Kennedy Library Foundation. The award, which has been dubbed the Nobel Prize for public figures, is given to those deemed to have shown “political courage” over a lifetime, or for a particularly remarkable incident. Members of President Kennedy’s family created the award in 1989 to honor JFK and to ‘recognize and celebrate the quality of political courage that he admired most.’ The honor is named after the 1956 book attributed to Sen. John F. Kennedy titled Profiles in Courage. The book was actually written almost in its entirety by Sen. Ted Sorensen with assistance by Georgetown Professor Jules Davids. Winning the Pulitzer Prize in 1957, it follows the trials and tribulations of eight Senators who did what they felt was the right thing despite being politically unpopular. Move to the next page for details on why Pelosi was this year’s recipient.